We talked about the Kunhali Marakars, we discussed about the Chinese presence in Calicut and the nearby ports, we talked about their relationship with the Zamorin’s, but lurking in the background is an interesting character, about whom some mentions have been made by historians of the past and most recently Jonathan Gil Harris, in his new book on firangis. 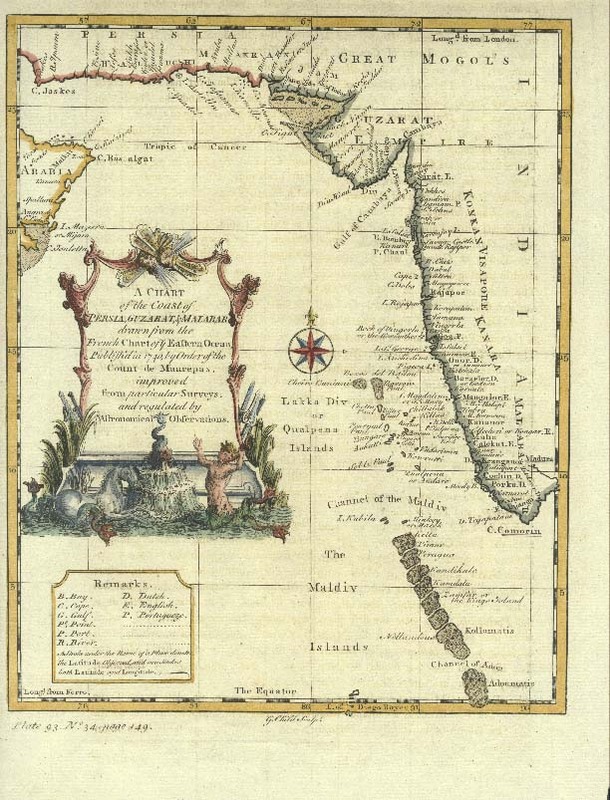 After the Portuguese had established a settlement in Kochi and taken over Goa, their next step was to conquer the spice islands of the Mollucas. Some years ago, I had written about Magellan’s trip to those islands, that article would lend good perspective to the Melaka or Malacca history. Orang Laut a fishing village, grew into a minor port after Parameshwara the king of Singapura fled to the region. Soon the islands prospered and the port became an important trading destination, getting the notice of the powerful Ming kings in China. The Yongle Emperor 1402 till 1424, sent his envoy named Yin Qing to Malacca in 1405 and this visit paved the way to trading relations between Malacca and China. After this Chinese merchants began calling at the port of Malacca regularly and were among the first traders to set up bases here. In 1411, Zheng He visited Malacca and it is said that Parameshwara went back with him to pay homage to the Yongle emperor. Later the administration changed, so also their religion after Islam was incorporated by the ruler and his subjects. The port teemed with multiple nationalities, and some 80 languages were spoken there. The rich port caught the imagination of the Portuguese and Tome Pires wrote - Whoever is lord of Malacca shall have his hands on the throat of Venice. As a major trading port, Malacca attracted many Muslim traders from various part of the world, quite a few venturing there after a stopover in Malabar. In April 1511, Albuquerque sailed from Goa to Malacca with a force of some 1200 men and many ships. 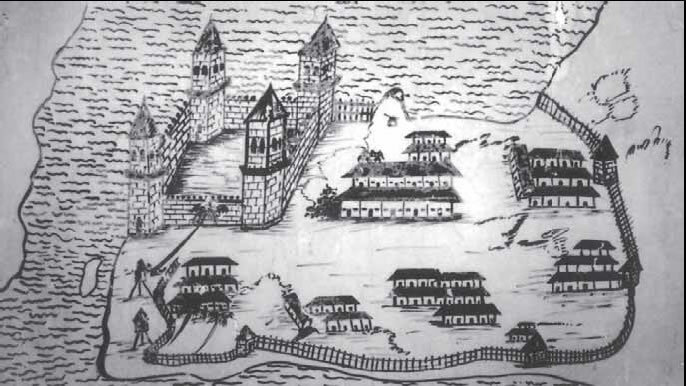 Malacca fell on 24 August 1511. Typical of the Portuguese practices of the time, many of the Muslims were massacred or sold into slavery. Later St Xavier moved in to carry out evangelization efforts, after his successes at Tuticorin. earlier by the forces of Kunhali a Malabari Moplah chieftain who patrolled the waters, and a period when his sailing crew were more popularly known as corsairs of pirates in Portuguese annals. Whether Chinali was originally from Malacca or whether he was from amongst the remnants of the Chinese of Calicut, the China kribala, we are not sure. We do know that he was a trusted lieutenant of the Kunhali IV. Decouto mentions Chinale and provides background circa 1599 when Kunhali was finally captured by the Portuguese - Last of all came Kunhali with a black kerchief on his head, and a sword in his hand with the point lowered. He was at that time a man of fifty, of middle height, muscular and broad-shouldered. He walked between three of his chief Moors. One of these was Chinale, a Chinese, who had been a servant at Malacca, and said to have been the captive of a Portuguese, taken as a boy from a fusta, and afterwards brought to Kunhali, who conceived such an affection for him that he trusted him with everything”. We can infer from the date that the higher likelihood was for Chinali to have been taken from Malacca, for most of the Chinese may have left Calicut around the 1440’s. But to get to the meat of the story, you have to read Pyrard Laval’s notes. Chinali was a fusta sailor (a cruising galley which operated in shallow waters, a small boat with a sail and some 12-18 rowers), he was a slave who was in the Portuguese employ, and that information leads us to believe that he was a Muslim of Chinese origin working for some Arab fusta owner in Melaka. Pyrard records thus - One of these was Chinale, a Chinese, who had been a servant at Malacca, and said to have been the captive of a Portuguese, taken as a boy from a fusta, and afterwards brought to Kunhili, who conceived such an affection for him that he trusted him with everything. He was the greatest exponent of the Moorish superstition and enemy of the Christians in all Malabar, and for those taken captive at sea and brought thither he invented the most exquisite kinds of torture when he martyred them. Historians agree that Laval and Decouto were too lavish with these negative opinions of those against the Portuguese, so the opinion that he was some barbaric torturer may be disregarded, but we can conclude that he certainly harbored no affection for his previous Portuguese owners. The lad grew up in Malabar – Kottakkal area where Kunhali operated and soon rose to become Kunhali’s trusted man, sharing many an exploit. 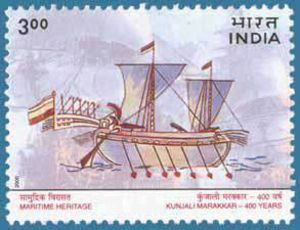 The battles between the Portuguese and the sailors of Kunhali have been recorded and retold on many occasions. 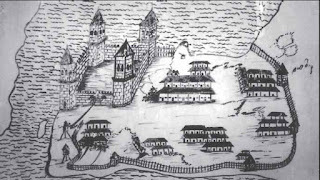 The battle at Chalium in 1571 forced the Portuguese out of their main fort in Malabar. They were all taken away to Goa, put into the state prison for a few days and interrogated with Decouto present for he mentions that they talked about losses and that some 500 from the Portuguese forces were killed. 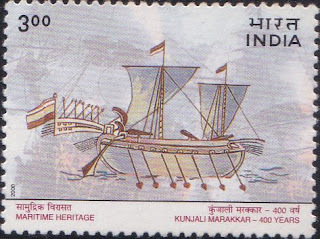 Kunhali was then ceremoniously hung (while one writer mentions he was hung, others state he was beheaded with a special French style guillotine) to death and his salted head exhibited to the public in Goa and Cannanore. After some days Chinale was brought forth to share the fate of his leader. As the pious historian puts it, "a better lot awaited him," inasmuch as, before his execution, he yielded to the persuasion of the Fathers and became a Christian, and was baptized by the name of Bartholomew. After this ceremony, at which he "shewed pleasure and good will, he was conveyed to the scaffold, accompanied by the Holy Misericordia, and by the orphan children who were praying to God for him ; and his body was buried in consecrated ground." Kunhali's nephew, and all the rest of the forty prisoners given over by the Samorin, some others of whom became Christians, were likewise put to death, "and not one that was taken escaped." So did the governor and rabble go hand in hand in murder and breach of faith," is the final comment of Friar y Souza. It is also interesting to note that Furtado himself had a Chinese man as his confidential secretary. Researchers like CR Boxer have stated that many Chinese children were picked up by native pimps and sold to the Portuguese for 12-15 taels apiece. Why did nephew Ali Marakkar get pardoned while Chinali got killed? In fact all 40 were hung, and many of them had converted with the hope of pardon. It is possible that this was due to the terror exhibited by Chinali in the past when he butchered any Portuguese he captured. Let us now take a look at the life of Dom Pedro Rodriguez a.k.a. Ali Marakkar. We do know that Furtado himself captured the boy when he was 13, during a battle off Cardiva in the Coromandel Coast looking for, perhaps around 1590 or so. Pyrard records having seen him in 1608, then 30 years old and introducing himself as a Spaniard Dom Pedro, not a Portuguese and married to a Portuguese orfaa or orphan. This young fella decided that he no longer wanted to be on the Portuguese side one fine day and relocated to Calicut. Soon he gathered a number of followers and acquired 5 paros and sailed back to the place where he was captured, the straits between Ceylon and the Cape at Comorin. That he established contacts with the Dutch is rumored, but he certainly proved a terrible thorn from then on in the Portuguese flesh, plundering their ships. 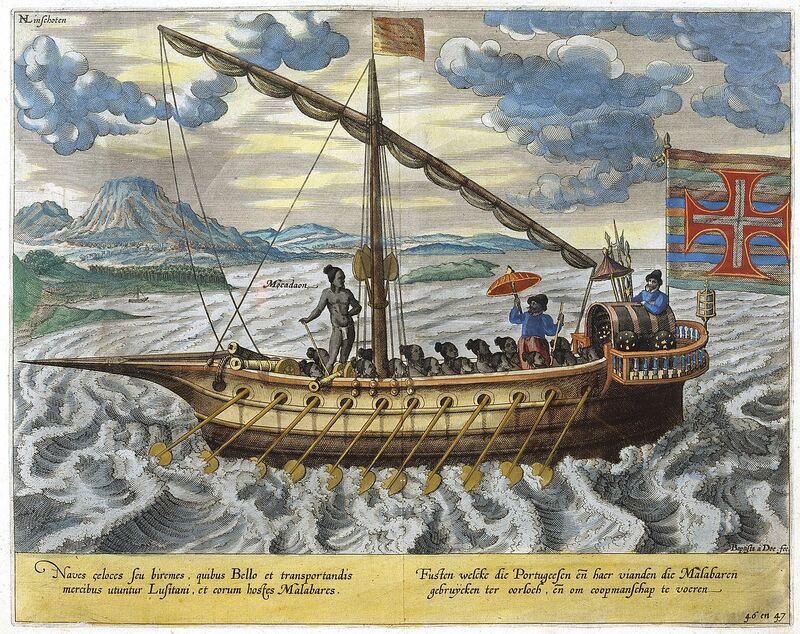 Danvers outlines his fearless exploits - On the Malabar coast, Dom Pedro, a cousin of the Kunhale who was executed at Goa, after having embraced the Citholic religion, fled from that city, and taking command of five paraos, he captured several Portuguese ships, seriously interfered with trade, and took possession of the islands of Do las Vacas and Tristao Golayo. Dom Constantino de Sa sent out a force from Colombo, to put a stop to this man's aggressions, consisting of forty galliots, which joined eighteen other smaller vessels at Manar. These proceeded, under the command of Vitorio de Abreu, to the island of Golayo, where Abreu was informed by two blacks he found there that the five paraos had gone to some place nearby for ammunition, and that before they returned he might possess himself of goods to the value of 60,000 ducats that had been left there in a house by Dom Pedro. 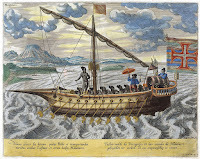 He, however, doubting the truth of this information, took no action in the matter, but waited for the return of the paraos, which he engaged, but was defeated, losing twelve of the eighteen small vessels and 300 men killed, besides several who were taken prisoners, of whom he himself was one. Dom Pedro shortly afterwards attacked the Portuguese merchant fleet, which was under convoy of a squadron, and took one of the vessels almost without opposition. The merchants of Nagapatnam desired the captains of the convoy to recover the ship, but they refused to make the attempt. A Spanish fly boat, however, happening to pass by just then, these merchants made a similar request to its captain, and he complying, retook it without difficulty. Perhaps Dom Pedro’s story is even more important in context with the Portuguese in Malabar, but is hardly known or retold, and details of his later days in Maldives is unknown, a seed for future research…. 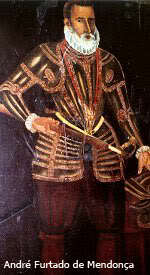 Furtado for all his ruthlessness during the 30 years spent in India, and a tenure in Melaka, was recommended for the position of Viceroy at Goa, but before a decision was taken, decided to return to Lisbon as the commander of an armada laden with pepper and spices. We note from Fr Y Souza and the French doctor Jean Moquet who had come in some years earlier and later attached himself to Furtado as arborist and apothecary that some time before the voyage had started, Furtado became ill with spleen and liver ailments and soon died a horrible death, even after attempts of revival by Moquet. It is rumored that he was poisoned, but Souza opines that he died of jaundice. Who are the Chinna Kribala of Calicut? Were they the remnants of the Chinese at Calicut? William Taylor feels that they came by sea and were probably of Chinese origin. But he also infers that they could be Malay. Perhaps one of those half castes became Marakkar’s confidante – Chinali, and we could also infer that many of them settled down at Calicut which was Muslim friendly compared to the Melaka after its capture by the Portuguese. Perhaps they came even earlier for trade. Chinna and Chinali - no doubt, both derived from the word China; or 'Cheena' which was being used widely till the sixties. This piece is really two stories in one - the story of Chinali who is fairly well-known, although his genealogy and final days are not yet certain. There is no doubt that he deserves more space than a footnote in the glorious history of the Marakkars. But what is really fascinating is the story of Dom Pedro alias Ali Marakkar. Historians of Calicut have generally either ignored or were unaware of this great sailor's exploits. Perhaps it pertained to a time after the turbulent era of Kunhali Marakkar and also the theatre of Ali Marakkar's exploits was not the Malabar coast, his story is not known to the outside world. Thanks, Maddy, for highlighting this. Incidentally, your narrative also brings to the fore another important detail which has not been highlighted - for all the brutality and cruel implementation of the cartraz regime by the Portuguese, there was a parallel stream of trade centred around Maldives which continued to supply goods to the Alexandrians and Venetians. This goes against the general impression that the Venetian monopoly was broken by the Portuguese arrival in Calicut. the story of dom pedro and the Maldive angle is quite an interesting outcome of the whole affair. i am trying to get deeper on the maladive transshipment aspects, let me see. Sir, Do you have any idea about the rivalry between Marthandavarma and thekkumcore Raja?